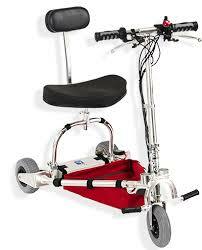 So, I finally ordered my Travelscoot yesterday and am so excited I can hardly contain myself! I’m so looking forward to everything I’ll be able to do and the freedom it will give me. Walks in the park or along the seafront, picking my son up from school or just being able to trundle along holding my daughters hand and chatting. Simple pleasures that have been denied me in the last couple of years since my mobility and balance took a nose dive! It’s been a long road to acceptance for me though. I come across other MSers on Twitter and Facebook and feel so sorry for people who are stuck in the denial phase where I was for so many years. I preferred to stay at home than face up to the fact I need wheels to get around! I can walk, sometimes pretty well,but need 2 sticks most of the time and get tired easily so unless I can park within staggering distance of where I’m going I can’t do it. A year or two ago I would have just missed out and sat miserably at home, kidding myself that it was enough to hear all about it when the kids got home but I’ve missed one too many outings and refuse to miss any more! My scooter will give me this freedom, especially as it’s light weight enough for me to fold it up and sling in the boot on my own! Talking to other Msers has helped me on the road to acceptance. On the muMS Facebook page I asked about scooters last year and so many people replied with advice and tips. It seemed I was the only one without a scooter and the other mums talked about how they couldn’t manage doing the school run or shopping without one. I realised I’d let my husband do it as I presumed there was no way I could but with a scooter I can! As soon as I realised this and accepted it I couldn’t wait to get one! I wrote in another post about how upset and disappointed I felt when I went into a scooter shop (scooter shopping blues) so I researched it online and decided the travelscoot was the best option for me but at £1,200 it was a little over budget so I needed to find funding. My local MS society gave me a grant for some of it and I got half the cost from a grant from Access to Work so could easily fund the rest myself. It should be here sometime next week and I hope it lives up to my expectations! I’d love to hear some more stories from MSers about acceptance and what a happy place it is! ← what would you say to your pre-diagnosed self?